Goodbye sun, hello rain and snow! Saturday was a beautiful day in southwestern Ontario, with warmer temperatures and lots of sunshine. But all of that changed Sunday. The temperature is dropping to the freezing mark and rain will turn to snow later in the day. Environment Canada has already issued a freezing rain warning for Mount Forest, Arthur, and Northern Wellington County. Those areas could get between 15 to 25 millimeters. Waterloo Region, Guelph, Stratford, Listowel, and Goderich could get up to 30 millimeters of rain, while Brantford could see as much as 40 millimeters. Woolwich Township says its already closed the low-level bridge in St. Jacobs in anticipation of rising water levels. 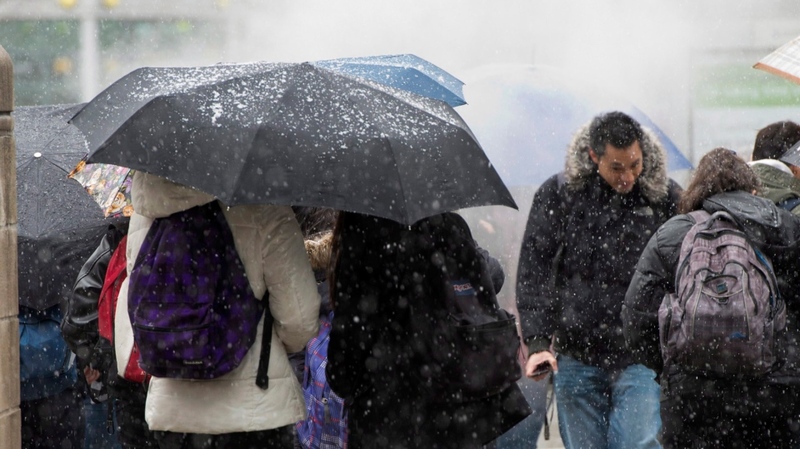 Environment Canada say the freezing rain will switch to rain in the afternoon and then turn to snow during the overnight hours. The agency says the ground is still partially frozen, so it will have a “limited ability to absorb” the rainfall. They also warn that the wet weather will continue into Monday, though the accumulation will be light.